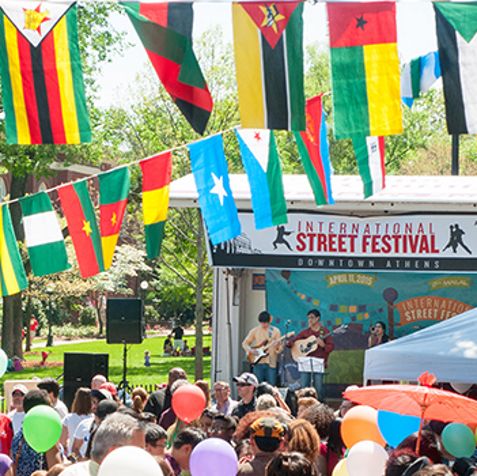 The International Street Festival (also known as ISF or Street Fest) was created in 1999 and is an annual event that promotes internationalization and cultural awareness within the Athens community. The Festival is student and family friendly and boasts an attendance of 3,000 – 5,000 visitors each year. Various UGA student groups and community organizations host exciting cultural displays and performances throughout the Festival, which occurs in downtown Athens each spring.